Duke University - Associate Director of Gift Planning position openings.....Duke University has two opening for individuals with at least 3 years of expenience in Gift Planning or Major Gifts. The position reports to Jeremy Arkin, Director of Gift Planning and would be part of a very active planned gift effort. The position has competative salary and generous benefits for the right individual. Having worked at Duke University as Director of Planning and Development for the Children's Hospital, I know you will be joining a great team. Link to position description and application procedures. Betty Ford Center - Planned Giving Officer position available..... The Betty Ford Center is the nationally acclaimed substance abuse facility located near Palm Springs, California. The Betty Ford Center Foundation (BFC Foundation) is seeking a Major Gifts Officer and a Planned Giving Officer to fill critically important positions on their staff. The Foundation is prepared to hire two individuals to head up these separate areas. If one person is identified who has the advanced skills to handle both areas, they would consider this arrangement with an improved compensation package. Target salary range for PG position is $115,000 to $125,000. The BFC Foundation have retained the services of Paschal Murray, Inc., an executive search firm devoted to positions in philanthropy, to manage these search projects. Information and application details can be found by visiting www.paschalmurray.com. Contact Colette M. Murray, JD, CFRE at 760-863-4512 or colette@paschalmurray.com. Real Estate Gifts Power Point.....If you are interested in expanding your real estate gift options or your ability to investigate the fair market value of real estate holdings, consider downloading my recent present ion "Take My Real Estate Please!" to the AFP Suncoast Chapter, Tampa, Florida. It covers Board Objections, Real Estate Myths, Discovery Process, Intake Process, CERCLA concerns, Determining Fair Market Value, a case study on Real Estate CGA, sample real estate advertisements, and real estate consultant resources. 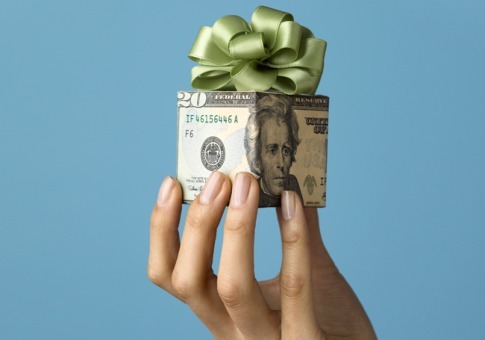 If you would like to consult on a real estate gift opportunity simply send me an Email. Bequest Opportunities Power Point..... If you are interested in expanding your opportunities to promote and expand your bequest revenue consider downloading my recent Power Point webinar presentation for the National Hospice and Palliative Care Organization, Marketing/Development/PR Group. Planned Giving for the small shop: Bequest Opportunities Rule covers the $20 billion+ annually received via bequests to charities. 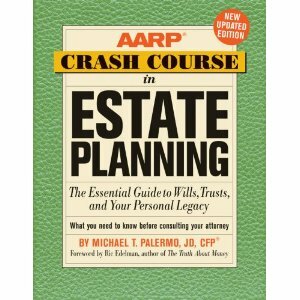 After establishing the baseline donor, financial and positioning the planned gift program, the presentation covers talking to your board, professionals, setting up an expectancy society, types of bequest opportunities and 14 simple marketing activities. The presention ends with 20 pages of web site examples. It would not be surprising to see some of the administration's prior proposals reappear in further tax reform. It would be unlikely, though not impossible, for any such legislation to be retroactive. Taxpayers who have not made use of these beneficial transfer opportunities might consider doing so early in 2013, so that if adverse legislation is introduced, such gifts may be grand fathered. This will bear careful watching. Aside from the Act, one last piece of good news for taxpayers is that the annual exclusion has increased from $13,000 to $14,000 in 2013. These annual exclusion gifts to trusts may require allocation of generation-skipping tax exemption, which courtesy of the Act, remains at the elevated level. Over the past 12 years, the exemption from Federal estate taxes has fluctuated from as low as $675,000 in 2001 to an unlimited amount in 2010 when the estate tax temporarily expired. The new law set the exclusion at $5 million and indexed it to inflation after 2011. In 2013 the exclusion is $5.25 million and in the future, less than 1% of taxpayers will have to worry about Federal estate taxes. (source: Kiplinger Personal Finance, 4/2013. Focus on Prospects Retirement Planning Needs.....a recent NYTimes article on retirement planning prompted many insights about financial planners which may be transferred to PGO's. First, fund raisers often tend to focus on their charity needs. Unless fund raisers understand where their prospects are coming from, the results may be frustrating for both. 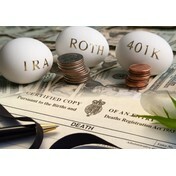 Determining a prospect's goals requires understanding their retirement income needs generated by their assets. Many prospects are asset rich but income poor. This combined with a prospects life expectancy determine the appropriate assets which could be gifted. Second, PGO's must understand a prospect's retirement resources including retirement plans, private investments, and government programs. Third, capitalized needs and resources are netted to determine what is almost always is the gift resource excess that may be transferred for outright charitable gifts. Fourth, when there is a capitalized asset income shortfall planned gift opportunities abound. The simple solution may be a gift annuity to increase income on non-productive assets. Another solution is to create an income tax deduction to offset capital gains liability on the sale of no income assets. Finally, getting prospects to accept the inevitability of the reality they can make a gift to generate a life income to take care of themselves while making an ultimate gift to charity is the goal of all planned gift discussions. Investopedia.....If you have ever visited a prospect and wondered about the terms they used to describe their finances I have a solution for you. Go to Investopedia and consult their dictionary. It provides definitions on thousands of financial terms, markets and investment options. It is an invaluable resource for the new planned gift officer who does not have an in depth knowledge of financial assets. Reminder New IRS Publication 526 for 2012 Tax Returns.....IRS Publication 526 covers how you can deduct charitable contributions, when to deduct, limits on deductions and records to keep. The last update was in 2010. Not many changes but you can download the latest here. Taxman Cometh .....For the second consecutive tax season, a new law requires your investment brokerage firm to report to the I.R.S. the price you paid for certain taxable investments, known as your cost basis, a figure that also takes into account items like reinvested dividends, stock splits and company mergers. With your cost basis in hand, you can then figure out how much you’ve gained or lost when you sold the investment, which is then reported on the Schedule D tax form. GETTING OLDER - Life expectancy at birth of Americans has increased by 10.5 years in the last 60 years (i.e., 1950-2010), reaching 78.7 years today. Thus since 1950, life expectancy at birth has increased by 2 months every year (source: Center for Disease Control). FIFTY PERCENT INCREASE - An American baby born in 1913 had a life expectancy at birth of 52.5 years. An American baby born in 2013 has a life expectancy at birth of 78.7 years (National Vital Statistics Reports). GET YOUR OWN - Only 1 in 7 Americans seniors (14%) age 72 and older believe that they owe their children or grandchildren an inheritance (source: Allianz). SMALL AMOUNT - An estimated 3,780 decedents in calendar year 2013 (out of 2.4 million projected deaths this year) will generate $14.2 billion of federal estate tax receipts for the US government, just ½ of 1% of our estimated annual tax revenue (source: Tax Policy Center). NET WORTH - The total net worth of Americans was $66.1 trillion as of 12/31/12, up +13% in the last year (source: Federal Reserve). MORE COMING OUT THAN GOING IN – An average high income American couple that retired in 2010 will pay $156,000 of lifetime Medicare taxes but receive $387,000 of Medicare benefits, i.e., for every $1 paid in taxes, the couple will receive $2.48 in benefits (source: Urban Institute). MORE GOING IN THAN COMING OUT – An average high income American couple that retired in 2010 will pay $765,000 of lifetime Social Security taxes but receive just $693,000 of Social Security benefits, i.e., for every $1 paid in taxes, the couple will receive $0.91 in benefits (source: Urban Institute). WHO BENEFITS? – 19% of Americans (60.4 million in total) receive a monthly benefit check from the Social Security Administration (source: SSA). COULD YOU LIVE ON THAT? - 46.1% of the individual income tax returns filed in the USA for tax year 2010 reported less than $30,000 of adjusted gross income (source: Internal Revenue Service). CAN YOU WAIT? - An individual that has earned income up to the maximum Social Security wage base each year who then waits to take his/her Social Security retirement benefit until age 70 will receive +77% more income per month than if he/she had taken a retirement benefit early at age 62 (source: Social Security). HOME SWEET HOME - Single-family home prices in the USA increased by +121% on average over the 15 years from 12/31/91 to 12/31/06. Over the next 5 years (12/31/06 to 12/31/11), single-family home prices fell 19%. Last year (12/31/11 to 12/31/12), home prices rose +5% (source: Office of Federal Housing Enterprise Oversight).